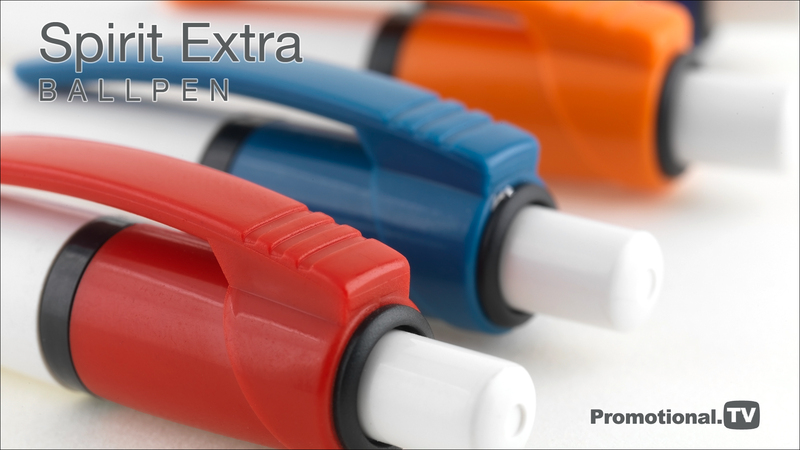 With its high-gloss white barrel and contrasting coloured trim the Spirit Extra Ball Pen is ideal where the main advertising message needs to be displayed on a neutral white background. With its high-quality construction, this modern-classic is suitable for all low-cost promotions. It exceeds current safety regulations; comes with a blue refill containing documental quality ink, and is available on an optional express printing service for those last-minute deadlines. The Spirit Extra™ Ballpen, as with the Spirit Colour™ and Spirit Deluxe™ versions operates on an especially low-noise push-button mechanism and it has large print areas on the barrel and clip to carry your advertising message in up to 6 matched colours. This popular pen can be supplied with optional presentation packaging, including, high-visibility pen pots to display at your next corporate event.